Doing something you like usually comes with a sense of satisfaction. But some chores are just not quite your cup of tea, right? I think we all enjoy drinking coffee, but honestly who likes cleaning their machine? If you are someone who loves to entertain and treat yourself and friends to a freshly brewed cup of coffee, it’s perfectly fine. Caffenu© will take care of the cleanliness and hygiene of your coffee machine for you. 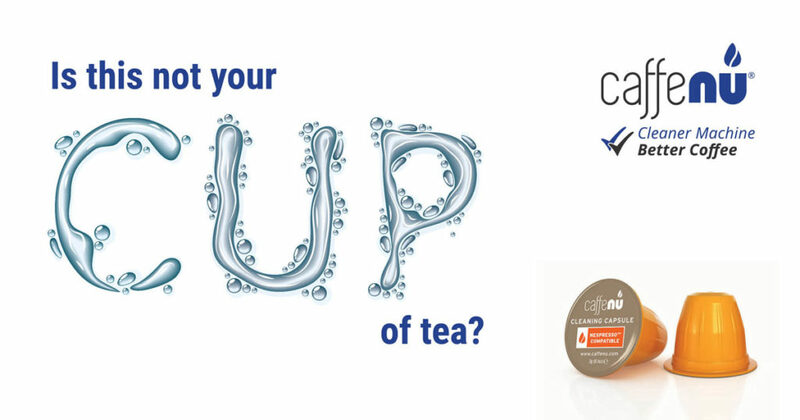 Simply insert our cleaning capsule into your machine, run, rinse, ready! Old residue and bacteria in your coffee machine disappear almost magically at the press of a button. So cleaning your coffee machine might not be your cup of tea, but it sure is what Caffenu© is best at! Find cleaning capsules for your specific coffee system here. Don’t forget to also descale your machine using Caffenu© Eco Descaler.